A spirited Norwegian Lass is torn between two suitors and two cultures. In this silent predecessor to the modern documentary, film-maker Robert J. Flaherty spends one year following the lives of Nanook and his family, Inuits living in the Arctic Circle. Anti-Nazi tract laced with 1938 newsreel footage finds American girl (Bennett) married to a German (Lederer) gradually learning he is a Nazi, trying to get their son to America. Laila: Bad Jåmpa, dearest Jåmpa! You'll have to forgive Laila for its slow pace, which is a common enough problem for films of this era. Director George Schnéevoigt tends to draw scenes out in what seem like unnecessary ways, including holding the camera on his actors' faces for too many seconds as they emote, and the film should have been shorter than its 2 hour and 45 minute run time. However, if you can cope with that, this film has a lot of visual treats that make it well worth watching, and is fairly unique besides. 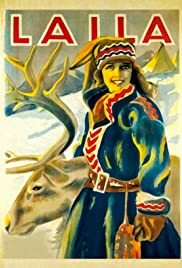 Filmed in the Finnmark region of the extreme northeast part of Norway, 'Laila' deals with the cultural differences between the Lapps, the nomadic indigenous people who were primarily reindeer herders, and the Norwegians, who were primarily settlers and traders. At the center of the story is Laila (Mona Mårtenson), a young woman who was born Norwegian, but through a couple of tragic accidents, ends up being raised by Lapps. As she grows up, she's promised to her Lapp step-brother (Henry Gleditsch), but finds herself falling for a Norwegian (Harald Schwenzen) who turns out to be her cousin. Mårtenson is athletic and beautiful, and the two men in this love triangle are both rather dashing, which adds to the natural scenic beauty of their surroundings. While the story itself gets a little melodramatic at times, the best part of the film is how it transports us to this remote part of the world. We see packs of wolves bounding through deep snow, and large herds of majestic reindeer. We see reindeer being tamed, and pulling individual sleds and people on skis. The traditional apparel is fantastic – the hats, big furs, and the way babies were thoroughly wrapped up. The visual appearance of the older Lapp men (played by Tryggve Larssen and Peter Malberg) is striking, with their strong eyebrows and features. In one scene, a Lapp mother gives her two boys a hot bath, then turns them out naked to roll around in the snow. In others, Mårtenson gracefully pilots a canoe. With all of that and the beautiful snowy scenery, it's just a delight to watch.